To sign up, follow this link: http://games.espn.go.com/tcmen/en/frontpage and create an account. Once you have logged in, click “My Groups” link toward the top of the page. Type Elmbrook Family Dental in the search box. Our group password is TEETH. Create your own bracket using your actual name as your team name (so we know who you are!) and pick who you think will win. For more information, click the “How to Play” link. Prizes will be awarded for 1st, 2nd, 3rd and 4th places. Anyone can participate, but only current patients will be awarded prizes. The prize list will be posted this week! Become a fan of our facebook page to ensure you are notified of this prize list when it is posted. 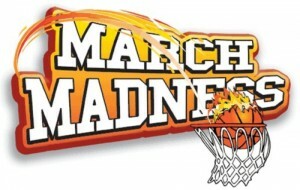 You must sign-up and pick your teams by the tip-off of the first game on March 21st in order to play. You will not be able to pick your teams until the tournament field is announced on March 17th.